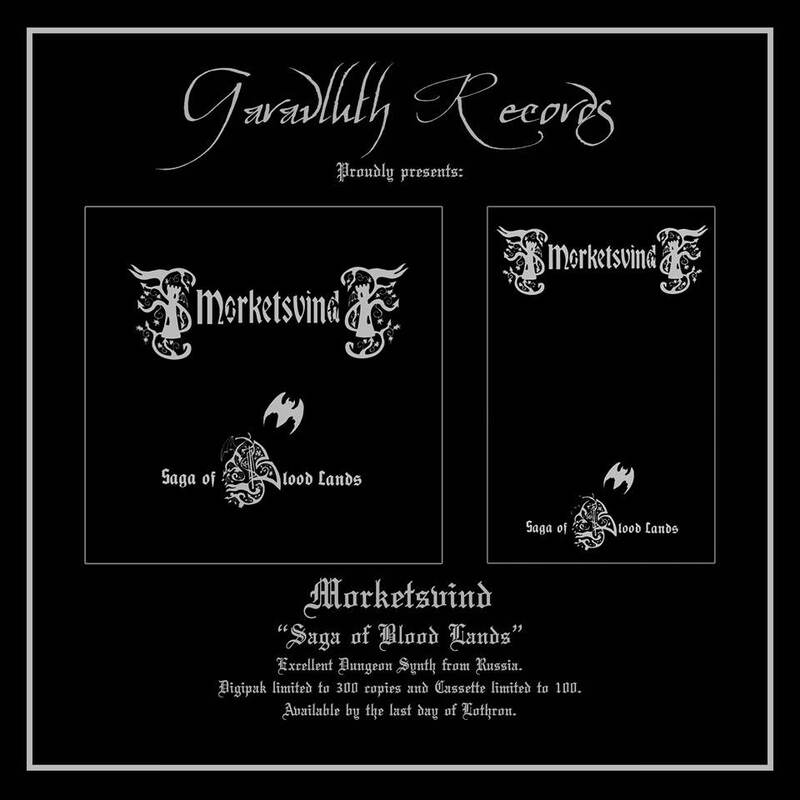 Bon je crée un sujet pour le dungeon synth, je ne suis pas spécialement fan (il me semble que Suicidium apprécie), mais il y a un regain d'intérêt pour le genre dans le milieu black metal depuis quelques temps et peut-être qu'à force d'écoute, certains devraient me plaire. Je viens d'acheter la dernière tape disponible sur bandcamp, nouveau fascinant projet drone/dungeon synth de David Terry plus connu sous le nom de Trollmann av Ildtoppberg. Un style de musique qui me fascine. J'y retrouve ce que je recherchai à la base dans le black metal, c'est à dire l'atmosphère. Après, il n'y a que ça. Mais pour lire, écrire, méditer ou se concentrer en règle général sur quelque chose, c'est du très bon ! WERWOLF ""Frozen throne of the final winter of endless sorrow (The funeral of all life)", taken from the split CD/LP with DRUADAN FOREST. Invoked from mystical pagan darkness in spring 2017 at the Carelian Battlegrounds by Graf Werwolf. DRUADAN FOREST ""Ravenwinds on my path towards the entrance into the cold and lonely mountain", taken from the split CD/LP with WERWOLF (The True). C'est pas du BM ! 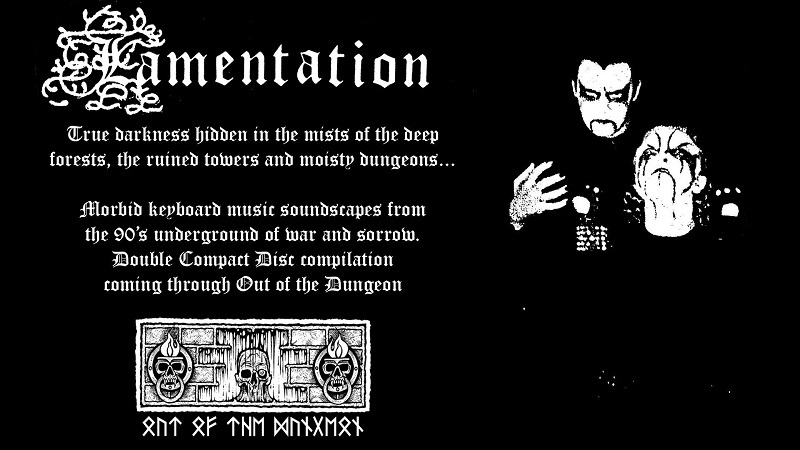 En tout cas si le meilleur album BM de l'année est un Split (FORBIDDEN TEMPLE / ULTIMA THULE), on peut dire la même chose pour celui-ci concernant le Dungeon synth ! Bon je confirme après écoute, ce split est un véritable sommet dans le genre: le morceau de Druadan Forest est une tuerie et celui de The True Wewolf est parfait (et ce final putain !). Un des meilleurs disques cette l'année, vivement le vinyle ! Nachtzeit from Lustre returns with his new project EITR and the debut album "Hädanfärden". 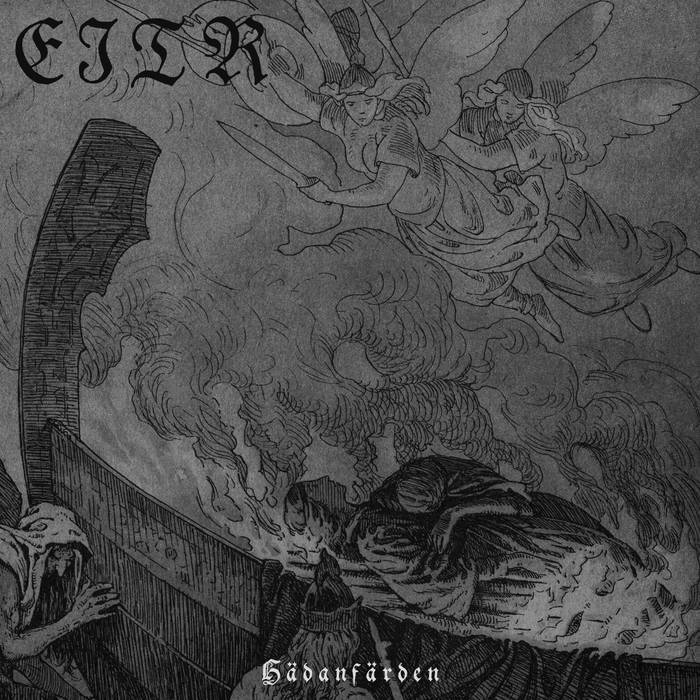 With it's debut EITR invites the listener on an enthralling Dark Ambient / Dungeon Synth journey. The album is available on both CD, Vinyl and all relevant digital platforms. EITR is the new brainchild of Nachtzeit, the man behind ambient black metal project Lustre. Representing the first recording of this new adventure, Hädanfärden takes us back to the time of the Norse gods and the death of Balder, masterminded by the ever devious Loki. As the waves of mischievous, playful synth wash over our senses we are transported to Asgard and any misgivings over the potential of an album without lyrics to tell a story are dispelled. Are we now Loki or merely observers in his game of trickery and cunning? Hädanfärden could just be the album we all wished Dauði Baldrs could have been. We take the form of the old woman with Loki as he tricks Friggr into telling him the one substance that can harm Balder. We feel the breeze and air of expectation as he strides with the branch of the little mistletoe bush back to the hall in Galdsheim. The contrast between the air of joviality of the masses and the dark, conniving nature of Loki is tangible and the theatre of it all captured in simple sonic form. There is ancient magic at play here, no doubt. The spirit of the Norse gods and their tales is alive and well in EITR’s softly lilting music – lulling us, a la Loki into a false sense of peace and security. All the while Balder is imprisoned by Hel, aided by the cave-dwelling giantess Thokk, or should we say…Loki. Sorti en tape il y a quelques jours chez Dunkelheit Records et prévu en cd chez Out of the Dungeon Records le 11 septembre. OLD TOWER "The Rise Of The Spectral Horizons" 2xCD out Nov 23. This 2xCD release compiles both OLD TOWER releases "Spectral Horizons" and "The Rise Of The Spectre", for the first time ever on cult CD format, in one exquisitely packaged set. This will be a one time pressing of 500 units only. Preview song from the upcoming DRUADAN FOREST album. Druadan Forest is a foregoing creation of v-Khaoz of Vargrav. "Darkness Enshroud is a notorious ritual dark ambient entity created by Akhtya Nachttoter (Michael Ford) in 1993 and for the past 26 years has created some of the most chilling, haunting and diabolical dark ambient soundscapes, and this new album carries on this tradition! "MALEFICIUM - The Psalms of Diabolus" is the essence of Medieval Orthodox Satanism interpreted in this current age as a contrasting balance between myth and black magick centered in the Acasual Metaphysics of Diabolism or Satanism as is an obscure, hidden cultus within the Luciferian Tradition. Each diabolic hymn, satanic prayer and invocation conceals a deeper meaning which is parallel with the aims of the initiatory experience of Apotheosis in the Luciferian tradition!" » La note de synthése. » M2 pro à Aix, Dijon, autre ?